The Brooklyn Museum will be the final venue of an international tour of the first retrospective in more than twenty years of art by the internationally acclaimed artists Gilbert & George. 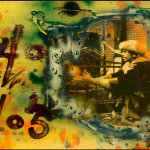 On view from October 3, 2008, through January 11, 2009, the exhibition comprises of more than ninety pictures produced since 1970, among them more than a dozen that will be seen only in the Brooklyn presentation. The exhibition was organized by Tate Modern, London, with the support and collaboration of the artists, who consider this to be the definitive presentation of their art. It traces their stylistic and emotional evolution through their pictures and works in other media, ranging from Charcoal on Paper Sculptures from the early 1970s to postcard pieces, to ephemera, dating back to the 1960s. 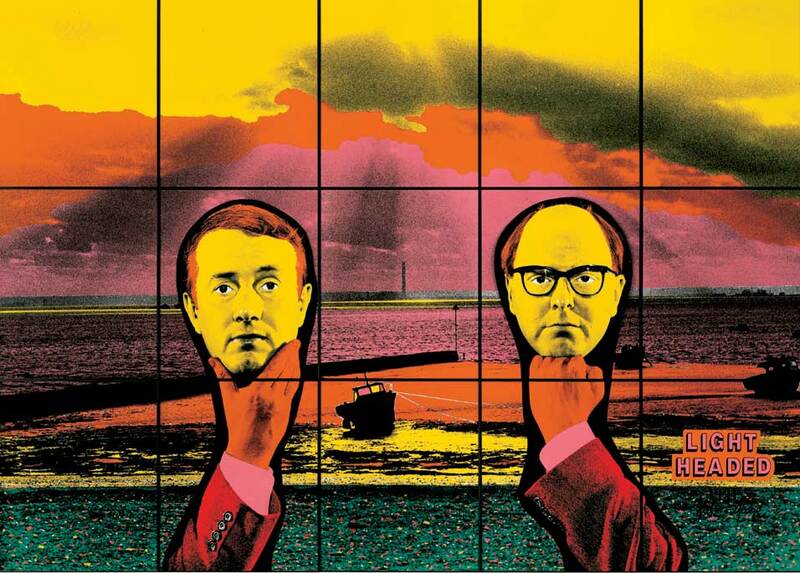 Gilbert and George met in 1967 while students at St. Martin’s Art School in London. They began to create art together, developing a uniquely recognizable style both in their pictures and in their presentations of themselves as living sculptures. Over the forty years they developed a new format that created large scale pictures, which are visually and emotionally powerful, through a unique creative process. Most of their pictures are created in groups and made especially for the space in which they are first exhibited. 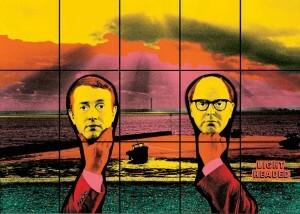 Since 1974 Gilbert and George have used their personal complex grid system to create their pictures, which are now developed with the use of sophisticated digital editing techniques. In the early 1980s they began to introduce bold colors into their pictures, with one or more pictures in each group that were created on a monumental scale. 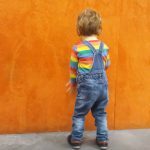 All pictures in a group share common motifs and conceptual and formal elements. The artists’ art, which is sometimes seen as controversial and provocative, considers the entire cosmology of human experience and explores such themes as faith and religion, sexuality, race and identity, urban life, terrorism, superstition, AIDs-related loss, aging, and death. The pictures in the exhibition have been loaned from public and private collections in North America and Europe. Included in the exhibition will be selections from the Ginkgo Pictures series which were part of the exhibition that represented the United Kingdom at the 2005 Venice Biennale; examples from the 1974 Cherry Blossom pictures: Finding God, 1982, a huge complex composition featuring images of the artists, several young men, and a cross; and more recent pictures, among them two of The Six Bomb Pictures, created for the inaugural presentation of the exhibition at Tate Modern, these pictures are intended by the artists to be seen as modern townscapes reflecting the daily exposure in urban life to bomb threats and terror raids. Gilbert was born in San Martino, Italy, in 1943. He studied at the Wolkenstein School of Art, the Hallenstein School of Art, and the Munich Academy of Art. George was born in Devon, England, in 1942 and studied at the Dartington Adult Education Centre and the Dartington Hall College of Art, as well as at the Oxford School of Art. Both attended St. Martin’s School of Art in London. 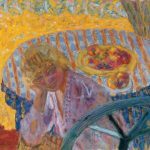 For more than forty years they have lived and worked in East London in a house on Fournier Street that they have said is, in many ways, a part of their art. 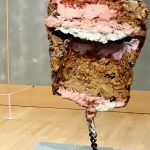 The exhibition is organized by Tate Modern, London and was curated by Jan Debbaut, Independent Curator, and Ben Borthwick, Assistant Curator, Tate Modern. The Brooklyn presentation is coordinated at Tate Modern by Rachel Kent, Exhibitions Tour Manager and for the Brooklyn Museum by Judy Kim, Curator of Exhibitions. Gilbert & George: Complete Pictures, a comprehensive, illustrated two-volume catalogue featuring 1,479 plates with an in-depth analysis of the Gilbert & George oeuvre by the art historian Rudi Fuchs, accompanies the exhibition. In addition, there is a 200-page exhibition catalogue produced by Tate Publishing that features essays by Jan Debbaut, curator; Ben Borthwick, Assistant Curator at Tate Modern; Michael Bracewell, novelist and cultural commentator; and Marco Livingstone, art historian. Gilbert & George is organized by Tate Modern in association with the Brooklyn Museum. The exhibition is sponsored by Altria Group, Inc. Additional generous support is provided by James Chanos, and the Lehmann Maupin Gallery, Sonnabend Gallery, Shelley Fox Aarons and Philip E. Aarons, Millennium Partners, Francis Greenburger, Howard Wolfson, the Arline and Norman M. Feinberg Exhibition Fund, the Alvin E. Friedman-Kien Exhibition Fund, Andrew B. Cohen and Suzi Cohen, Leon and Michaela Constantiner and other generous donors. New York magazine is media sponsor. This entry was posted in EXHIBITIONS, NEWS and tagged Brooklyn Museum, Gilbert & George, New York, St. Martin's Art School, Tate Modern. Bookmark the permalink.